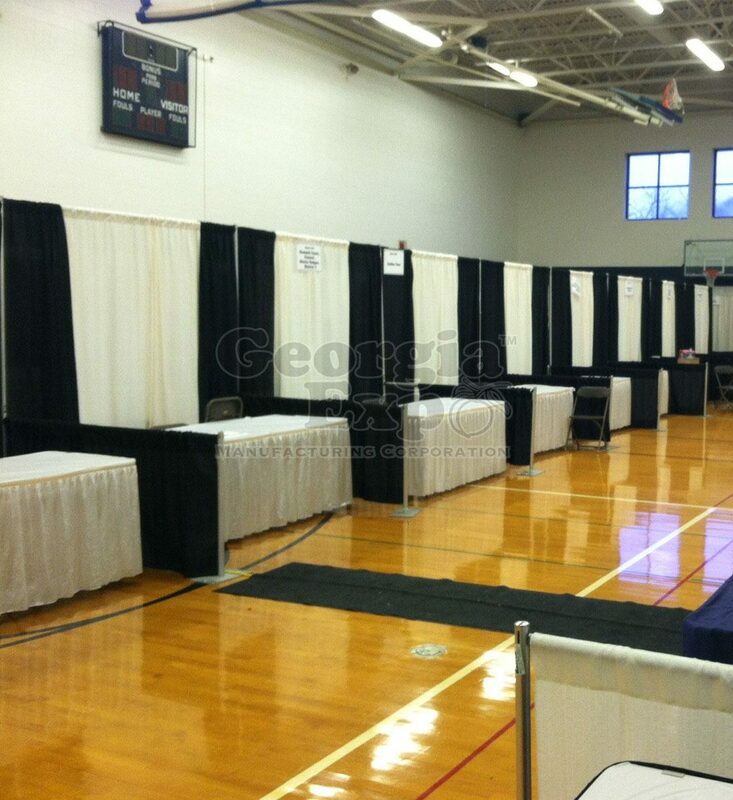 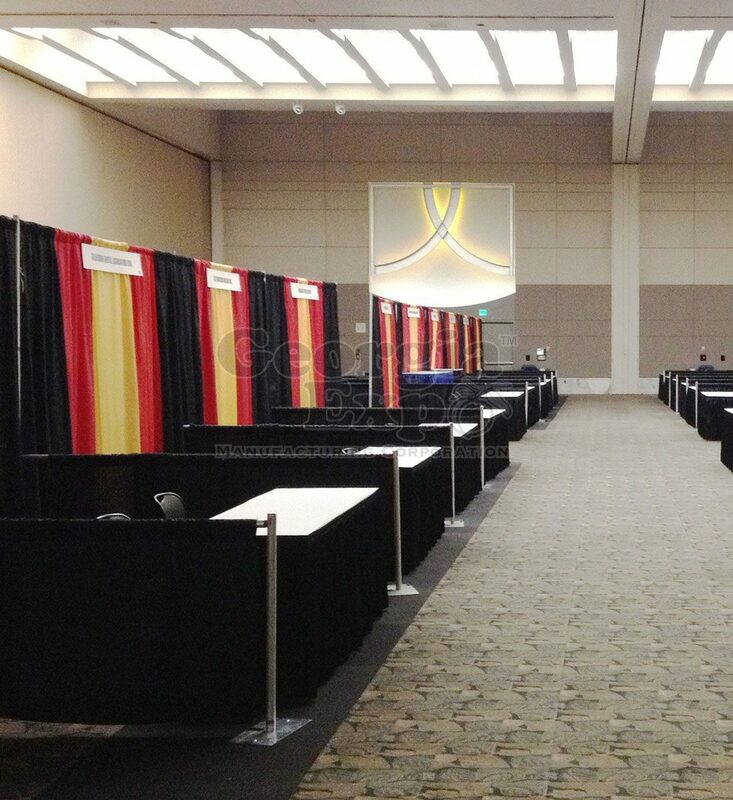 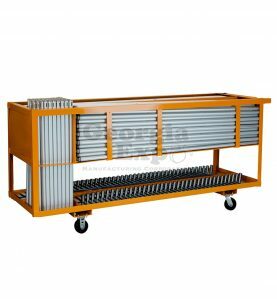 Inline Trade Show Booths are a staple for trade show decorators and service contractors. 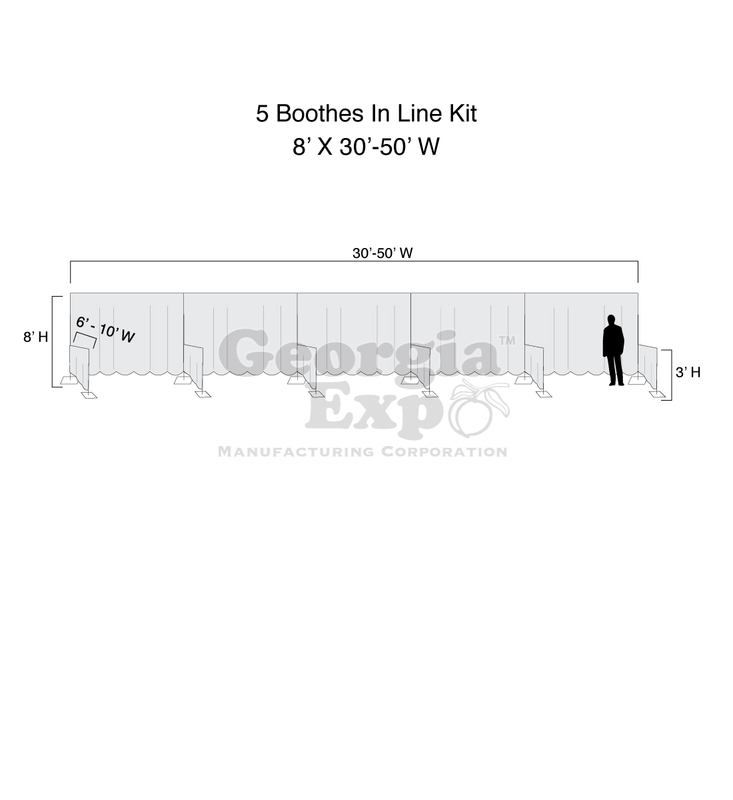 We've made counting all the components easy for you by creating these booth kits, available in 5 booths all the way up to 100. 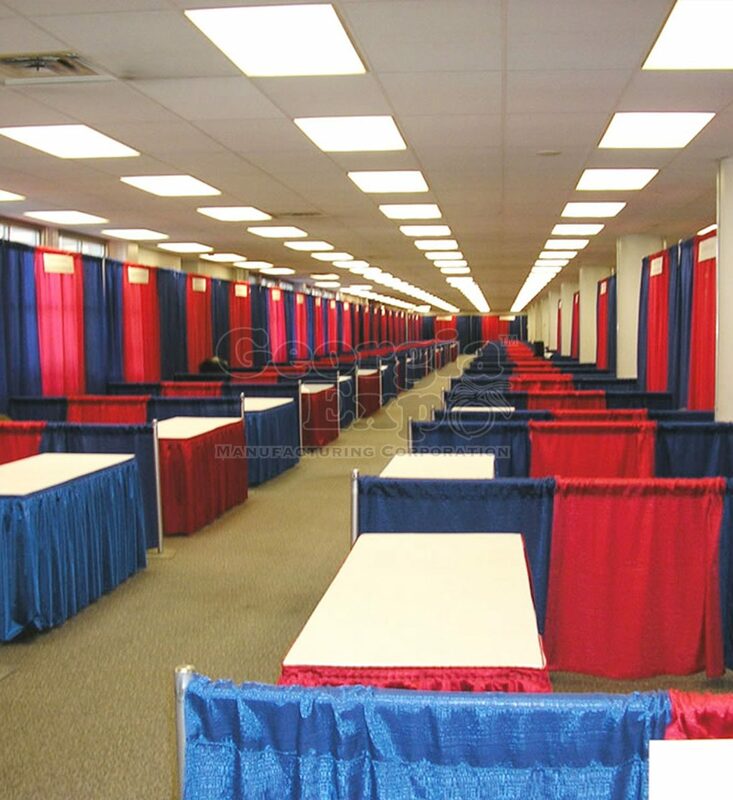 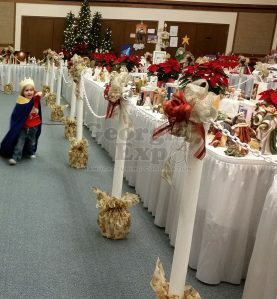 2nd – Choose your drape type and color from the available options (you can go with a hardware only option by selecting no drape, or add as many additional drape panels or fabrics as desired). 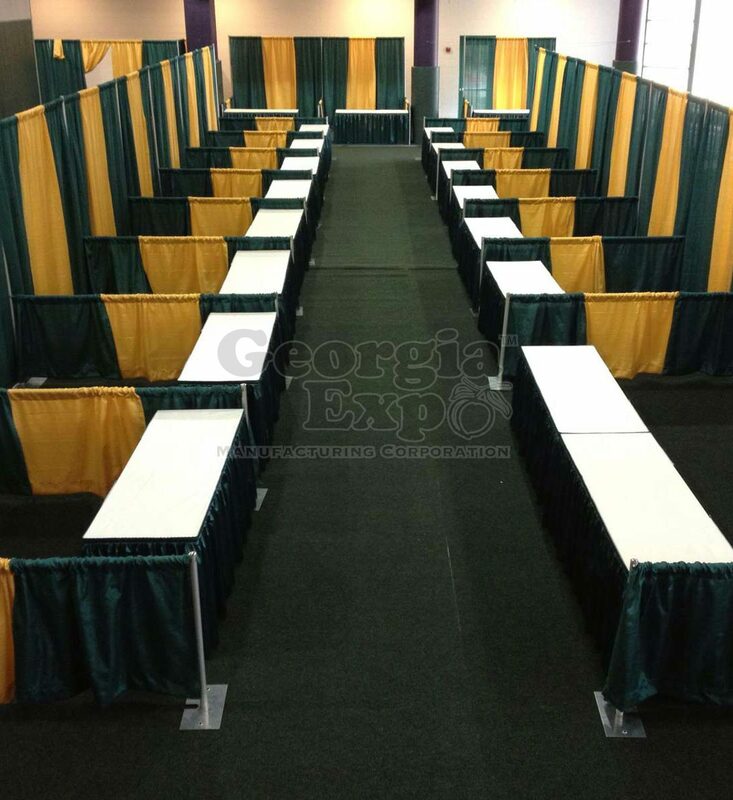 Georgia Expo’s In-Line Trade Show Booths are designed to connect side-by-side, creating a row of booths. 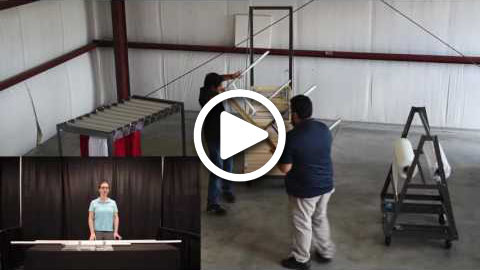 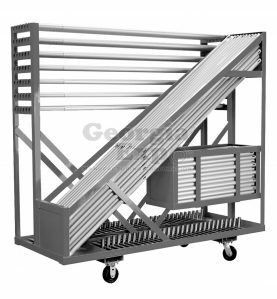 The 8’ upright, 3’ upright and side rail 6’-10’ drape support/crossbar are shared with the next booth, optimizing your equipment. 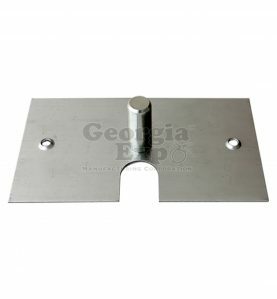 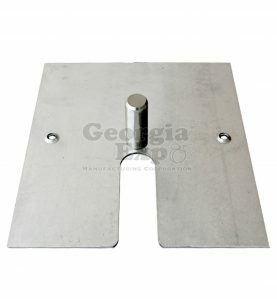 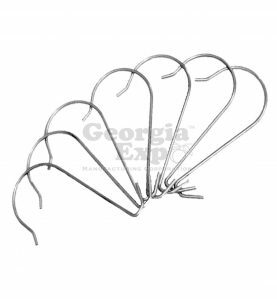 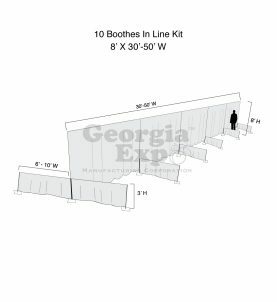 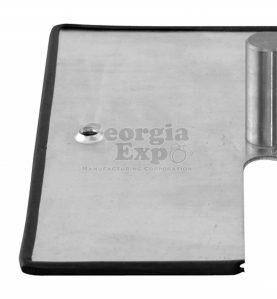 Each kit above will come with enough standard height 8 ft. uprights, 16” x 14” bases and adjustable 6 ft. – 10 ft. drape supports to create in-line trade show booths. 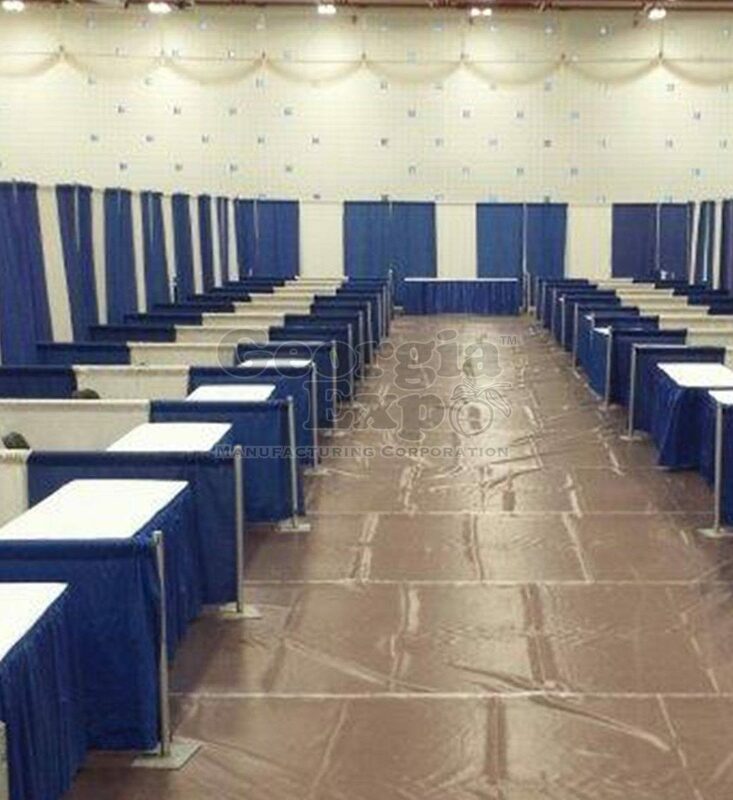 The standard booths are set to 10ft wide, 10ft deep and 8ft high. 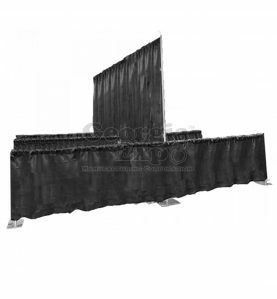 You also have the option of Banjo Drapes or Poly Premier Drape. 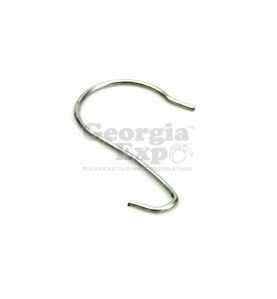 Banjo fabric is an open weave fabric with a slight sheen to it that would typically be seen at trade shows. 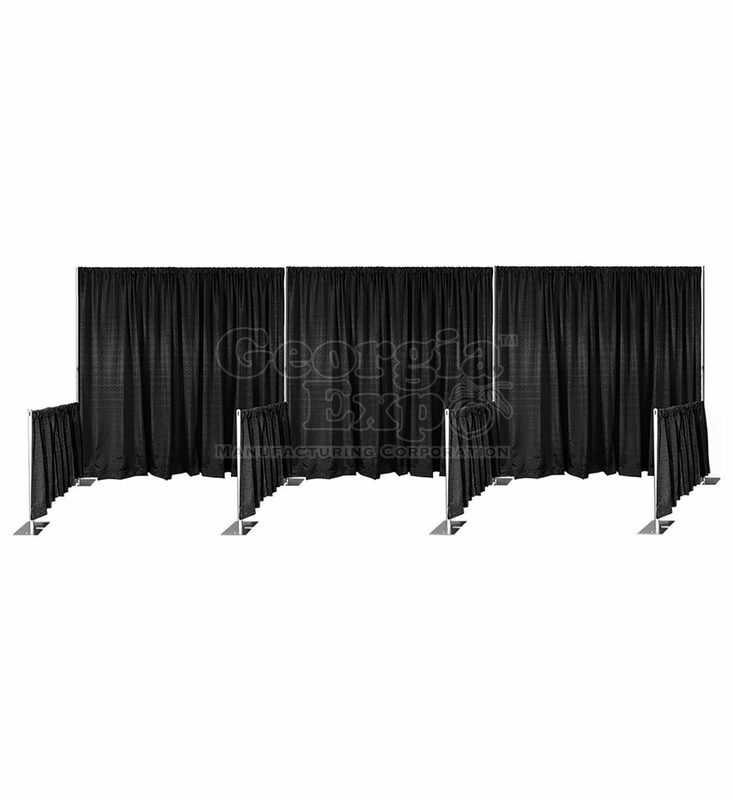 This fabric is 48” and requires 4 panels for the back wall of each booth and 3 panels for the side walls. 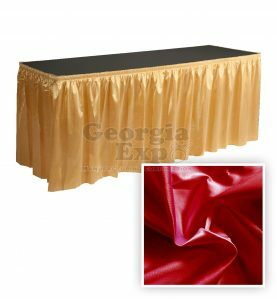 Poly Premier Fabric has the look and feel of linen with a flat finish and is popular choice for convention and civic centers . 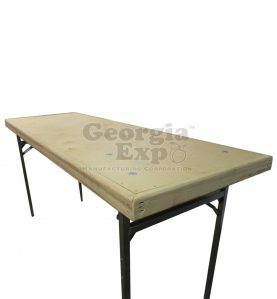 This fabric is 60” wide so this kit includes 3 panels for the back walls and 3 panels for the side walls. All of Georgia Expo fabrics ship with a Flame Certificate.